GreatRiverRoad-Illinois.org, managed by the Great Rivers Country Regional Tourism Development Office, is your roadway to discovering the Great River Road in Illinois. This 550-mile National Scenic Byway route on Illinois' western border has something to offer everyone from outdoor recreation and scenic views to historic museums and festivals. 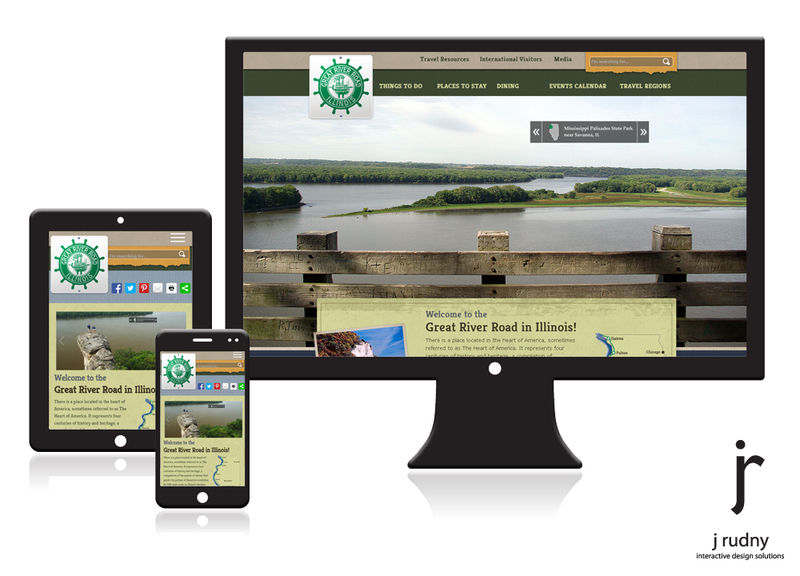 Representing the seven main regions along the western edge of Illinois, this project required complete redevelopment of the old website with an original J Rudny design, full response for all devices, ability to manage all content, comprehensive calendar of events, social media and mapping integration, and the ability to expand as needed.